This is the second printable in this series, I hope you liked and used the first one, Valentine's Day Cards. This one is for all my readers who celebrate Easter Day, I created these adorable candy toppers so that you can show off to your friends or your kids school friends, aren't they just adorable? Due to the clarity of the picture you can't fully see what it says, but this is what the topper says "Crick Crack, Easter is Here." All of my free printables are easy to put together, all you need are a few supplies to craft these cuties up. 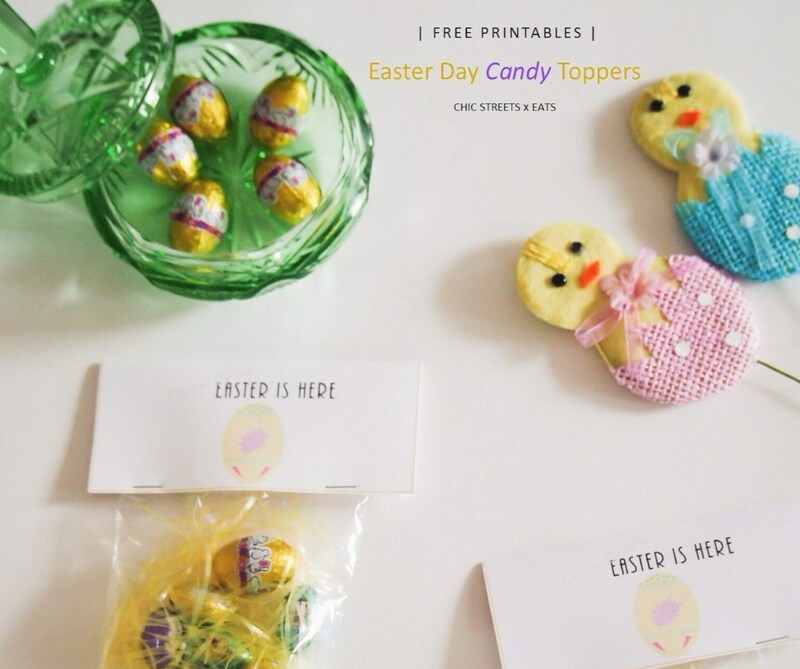 Hope you enjoy these fun Easter Day Candy Toppers, which add a bit of a whimsical feel and will be a hit with any kid x grown-ups alike, because let's face it, who doesn't like a goodie bag? Would love to know what you think of them, and if you do us them, please tag me in social media and use hashtag #csxeeaster or #csxefreeprintables.